No docks allowed! New ownership or not, time-honored Duryea's still has the best sunsets, lobster rolls and, now, some good rosé. 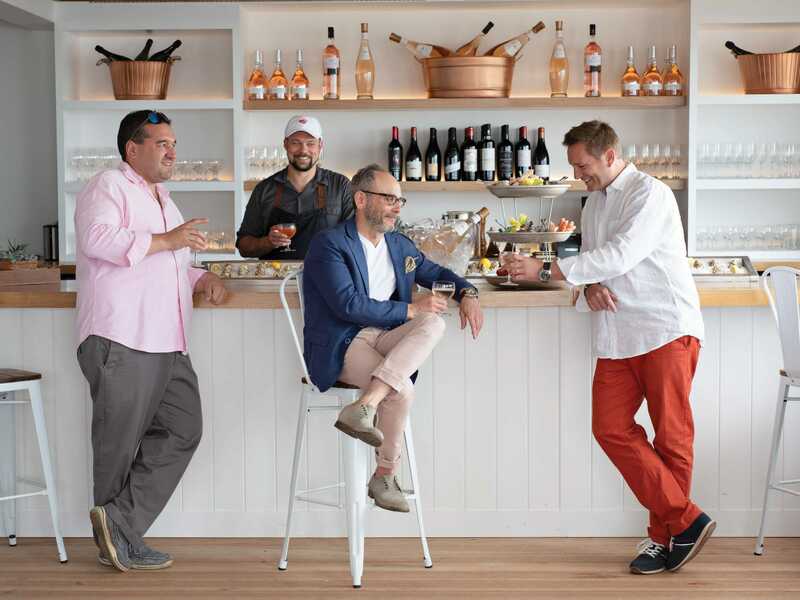 When the family-owned legacy Duryea’s was acquired three years ago by Apollo’s Marc Rowan, many thought it was destined to become nothing more than another place for the elite in white linen—because we needed that in the Hamptons. But to be honest, it’s far from it, and has become a favorite of mine. It’s still a little dockside gem—just now with some beautiful-looking staff (wow, that was intimidating) in understated but crisp white uniforms (cotton, not linen). 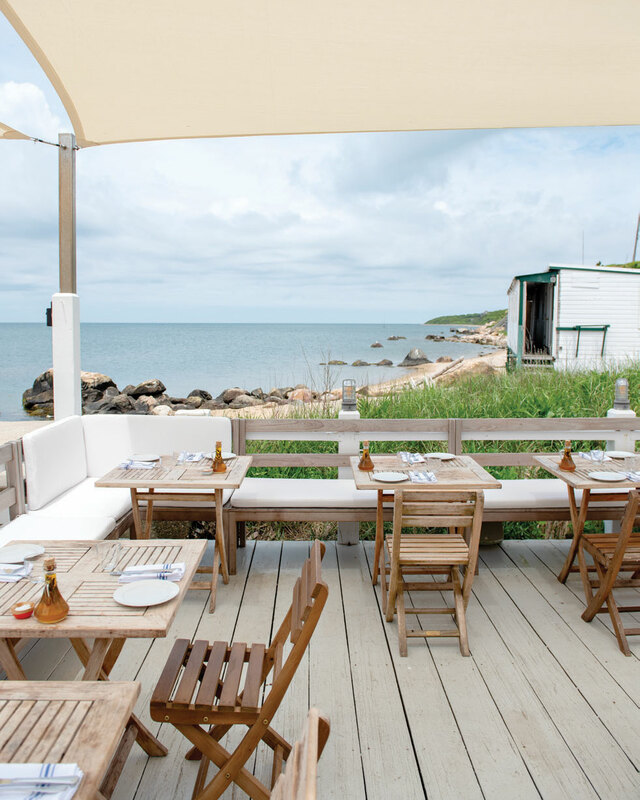 Duryea’s setting rivals any coastline, and rumor has it the inspiration was Uruguay’s Parador La Huella in José Ignacio, which (I’ve been told) has a relaxed, chic vibe that sets the scene for simple and amazing ingredients cooked over an open fire. 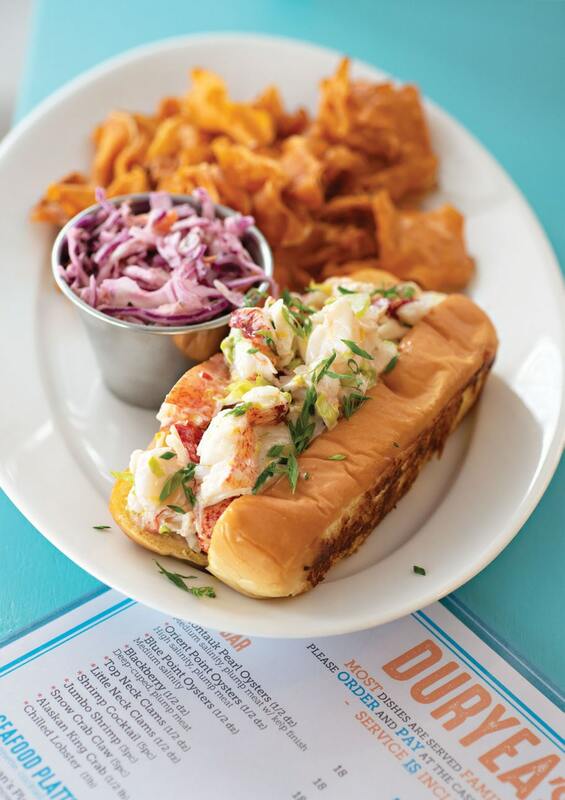 So, led by that example, on a recent visit to Duryea’s, the chef and I assembled a simple but delicious lobster roll in the open dockside kitchen. After all the hard work, it seemed fitting to retreat to the newly expanded retail market and oyster bar for a sunset tower filled with fresh oysters, shrimp and crab, accompanied by a glass or two of chilled Domaine de Régusse. Don’t let the long stretch on 27 scare you; come enjoy an epic sunset, however long it takes. This place underwent a significant face-lift. Executive chef Pierre Sudre serves some of the old classics, such as New England clam chowder and grilled lobster. But the newly expanded menu offers something for everyone, with beautiful crudités, grand seafood towers and a lobster Cobb that’s a full meal. After a leisurely grazing and some wine, the old-school self-serve Good Humor freezer is my (kids’) favorite. If you’re looking for bottle service and loud music, there are plenty of other places in Montauk to visit. “I have never refused anyone a table, but I have asked some people to leave,” says GM Steven Jauffrineau of the laid-back but reserved atmosphere. And while the room is buzzing with some of the Hamptons’ who’s who, it retains a casual and rustic elegance that pays tribute to its former BYOB lobster deck roots.